Hair loss treatment products are a multibillion industry, and everywhere you look there seems to be a new miracle shampoo, supplement, or product that markets itself as a remedy for hair loss. Still, with all the “miracle” products left and right, hair loss just doesn’t really seem to be going away now, does it? That’s because most treatment methods are actually just a clever marketing ploy preying on people desperate to try anything to save their hair. If you’re curious which hair loss treatments work and which are utter B.S., we bring you the hard facts. Hair loss may be temporary, when it can be caused by mineral deficiencies, hormonal issues or imbalances, medical treatment (e.g. chemotherapy) and other health conditions that can result in hair loss. In these cases, once the underlying cause is identified and treated, hair will grow back. The other type of hair loss is determined by hereditary factors. In men, androgenic alopecia accounts for a significant proportion of hair loss and it’s explained by a genetic sensitivity to the hormone dihydrotestosterone. 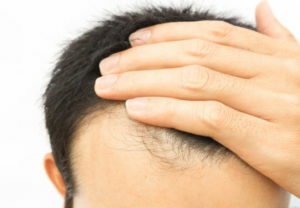 Male pattern hair loss manifests itself through a receding hairline or thinning top, while female pattern hair loss is usually noticeable as thinning hair. This type of hair loss is permanent, however, as you will read below, there are a few things that can help with permanent hair loss too. Unless your hair loss is caused by a vitamin or mineral deficiency and you’re getting the exact right treatment for your deficiency, hair loss supplements aren’t an otherwise efficient hair loss remedy. Vitamin supplements, shampoos, serums and whatnot aren’t a remedy for hereditary hair loss, therefore, view all claims otherwise with scrutiny. That said, there are treatments that do work even when hereditary factors may be involved. Rogaine, Minoxidil and Finasteride are products that have shown promising results in preventing future hair loss, stimulating hair growth, and increasing hair density. However, they may not produce the same results for everyone, and you may be required to take them long-term to maintain results. Hair transplant, however, is the gold standard for receding hairlines and thinning tops. 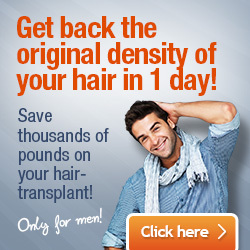 It produces permanent results and hair transplant surgery has a high success rate. With hair transplants, hair from the donor area is transplanted to other areas from the scalp to add density. 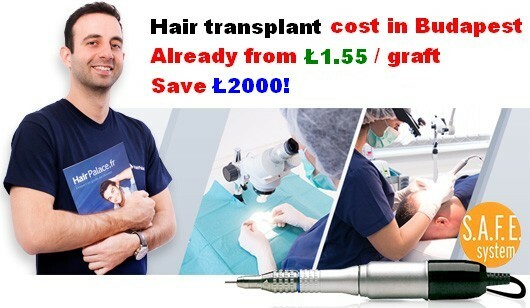 Therefore, hair transplant is highly reliant on the quality of the hair in the donor area, which is why it’s important to act as soon as possible, while the donor area is still not affected by hair loss. If you’re wondering about the cost of the surgery, it varies greatly even from country to country. In Ireland and UK, the procedure is still rather costly, however, in countries like Hungary costs are much lower. In recent years, Hungary’s hair transplant industry has seen a significant growth due to the high standard of care, modern facilities, and highly skilled surgeons. Therefore, if you want a sure-fire fix for your receding hairline or thinning top, hair transplant surgery is a safe, reliable and permanent treatment option.